What can you do if you're locked out of your phone? Well, don’t panic for one. That doesn’t really help matters. IT CAN HAPPEN to the best of us. You change your lock screen code from the normal four-digit PIN to something more complex and unfortunately, you can’t remember it. Depending on the device you have, you can still recover the situation, you just need to do one or two things in advance first. 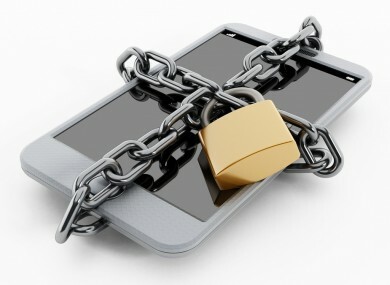 Even if you haven’t been locked out, it’s recommended you have a backup of your phone data saved somewhere. For iOS, you can do it through iTunes while Android users have Android Backup Services and Windows Phone users have Settings > Backup. Unless you have a backup, the only real way to regain access to your iPhone/iPad is to reset your device entirely. This means you will lose all of your saved data and apps that can only be recovered by using a backup. Restore using iTunes - Connect your phone to your PC/Mac and access iTunes. Under the iPhone section, you will see the option to restore device. Find my iPhone - If that isn’t possible, you can erase your data by using Find my iPhone, allowing you to start afresh or use a backup to restore old info. If you’ve neither – Then you’ll have to use recovery mode which erases all your info and passcode. Turn off your phone, connect it to your PC/Mac, and hold down the Home button as you connect it. Do this until you see a ‘Connect to iTunes’ prompt on your screen. Here, iTunes will say it has detected a device in recovery mode so follow the instructions and clear your phone. It’s entirely possible to access your phone and unlock it through manual means. Provided you’re logged into Android Device Manager , select the device you need to unlock, select lock and you will be asked to enter in a new password. Follow the instructions and you should be able to unlock your phone. If you don’t have that, then a hard reset is your only option. How you do this differs between devices but the general method is to hold down the power button and press the volume up button. This should bring up the option for Factory/Hard Reset which will wipe all of your data. Unfortunately, Windows Device Manager only allows you to set a lock screen option so if you’re locked out, you’ll have to perform a reset, either through Device Manager or on the phone itself. Email “What can you do if you're locked out of your phone?”. Feedback on “What can you do if you're locked out of your phone?”.